Every team played a total of 5 regular season games at the 2011 BSC. The 6 teams with the best records advanced to the playoffs. Official RECAP to the 2011 Blessan Samuel Classic! 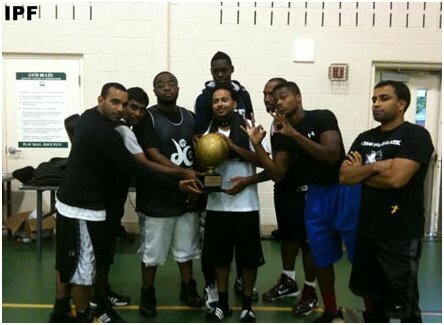 Full BSC Tournament Recap - Congrats to 3-time 2011 BSC Champion DCZ FINEST-FIRST TEAM TO 3-PEAT! A. The 9th Blessan Samuel Classic is in the books! Special congratulations to the now 3-time champion DCZ Finest, a team that did something no other team in the tournament's history has been able to do, win 3 in a row! Truly epic performance by Big Baby aka David Kadiri who was also the Tourney MVP this year. GAME OF THE YEAR: There are several candidates this year, but I'm going to go with Game 1 of the tournament a 27-25 OT win by Gburg to kick off the BSC on a high note! Shout outs: I want to take this time to shout out the following people. Without their help, this event could not have happened. Jenet Poopalan, Joy Poopalan, Crystal George, Charles Thomas, Calvin Thomas, Josiah Harris, Binu Varughese, Vinod Varghese, Andrew Samkutty, Michael George, Melvin George. To anyone I missed, many thanks for your support. 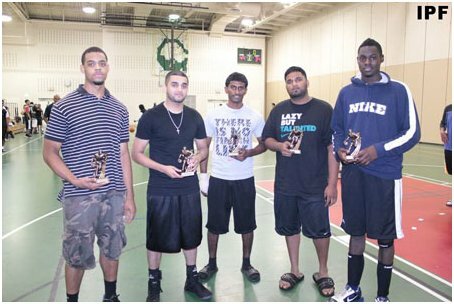 2011 BSC Tournament MVP: David Kadiri "Big Baby"
DC: The first team in tournament history to win three straight titles, enough said. If they can win four in a row, that feat may never be duplicated. Dynasty Status. Strong performances from David Kadiri, Alvin Rathinam, Aba Udofa, Justin Thomas, Marqus Young and Sam John. Game Highlight: Winning a 3rd straight championship. Chicago: Chicago cemented their contender status by again atleast reaching the final in every year they've attended. No other team can boast the same stat. An injury to Manny Hamgeri hindered their ability to win a fourth title, however rumor has it another Hamgeri may return to the Chicago arsenal in 2012. Game Highlight: Beating DC in the regular season. Philly: Again, this team can never be underestimated. It seems like every year they are in the final four. Great performances by Ricky Roy. Game Highlight: Beating Chicago in the regular season. Toronto: What a RETURN! This team rocketed up the final rankings in their return after a three year absence. Great performances by Shannon Jacob and Shane Thuraisingham. Game Highlight: Both games against DC, they came very close to winning both games. I was most impressed with this team. Yonkers: Solid performances this year by Justin George and Terrill George. This team has made the playoffs two straight years since returning. With the return of James George next year, I expect big things! Game Highlight: 37-30 win over Gburg. Gburg: This team managed to make the playoffs for the fifth straight year, but they lack true cohesion and explosiveness. They need to take the next step and win a playoff game. Game Highlight: 27-25 OT win over Texas to kick off the tournament. Texas: Had a rough year, lost some close games, solid performances by George Jolly. This team needs better cohesion. Game Highlight: 41-15 victory over Newark. Brooklyn: While having both an all star and three-point champion on this team, Irene derailed this team toward the end of the day Saturday with most players having to head back home. Still, they almost beat DC and would have done some damage had they stayed. Game Highlight: 45-33 win over Yonkers. Newark: This team was in games but really missed out on not having team captains Jacob George and Jensen Thomas present. Game Highlight: Gave Yonkers a run. 2012 BSC - First look: The 10 year anniversary of the Blessan Samuel Classic approaches. We're working on making it a special event and hope to see all the teams returning. Strong Island? How about being our 10th team for the 10 year anniversary. Keep it locked!